Celebrating the Legacy of Peter Parker, Spider-Man! 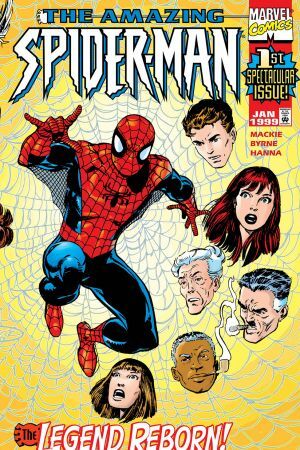 He’s been the Friendly Neighborhood Wall-Crawler for over five decades – to help cover 50+ years of web-slinging, here’s our breakdown of Spider-Man’s history...in 788 issues! 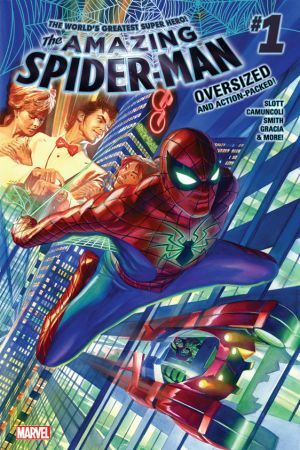 Get all caught up before reading Spidey’s Legacy relaunch in Amazing Spider-Man #789, brought to you by comic maestros Dan Slott and Stuart Immonen! 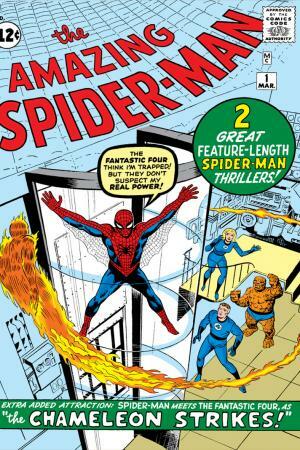 Peter Parker swings into his own ‘monthly mag’ following the success of his first appearance in Amazing Fantasy (1962) #15. Although fifteen years old, Spidey’s no kid sidekick – his debut issue sees him putting the kibosh on a malfunctioning space shuttle…hang on tight, Web-Head! Peter’s second Amazing ongoing starts on rocky footing – because Spider-Man’s missing! The Human Torch investigates the whereabouts of New York City’s hero, while Peter embraces civilian life. This long-running series would introduce foes like Morlun and Mister Negative, while also shaking the status quo with events like One More Day. And who can forget when Spidey unmasked himself to the press during Civil War?! Fresh off the gut punch in Amazing Spider-Man #698, writer Dan Slott continues the Frankenstein-horror chapter in Peter’s life with Superior Spider-Man. Doctor Octopus lays dying, sustained only by life support. 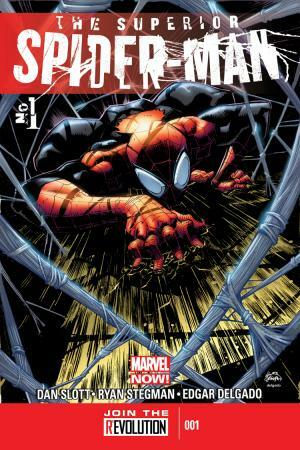 But when he discovers the secret identity of Spider-Man, Otto Octavius swap Peter’s consciousness into his dying form! 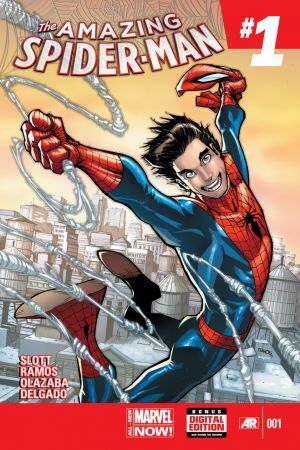 Now Doc Ock is both Peter Parker…and the ruthless Superior Spider-Man! Restored in mind and body, Peter Parker is off to a fresh start. And it’s good timing – there’s an oddball crew of animal-themed villains running amok as ‘The Menagerie'. This series also introduced us to web-weaving hero Silk! Plus, read on for the multiversal team-ups of Spider-beings in the Spider-Verse event! 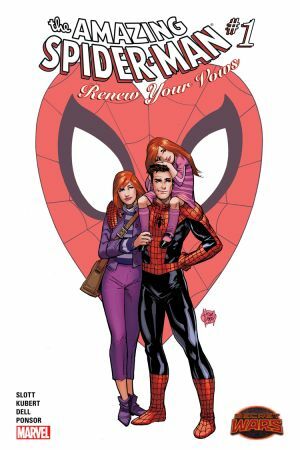 In this Secret Wars mini-series, Peter and Mary Jane fulfill the fantasy of many a Spider-fan – by settling down and starting a family. But scraping by to make ends meet is the least of this young family’s worries…a mysterious presence is killing off super heroes, and Spider-Man fears he’s next on the hit list.